Not Guilty might seem to be a curious name for a Gospel project, but not if you have come into the full knowledge of the liberty that is in Christ Jesus. Also, it is less curious if you are familiar with the messages of John P. Kee (see interview), whose ministry is built on the precepts of God and the glory that is the benefit of His redemption. Kee propels himself back into an arena that he couldn't leave even if he really wanted to. If you've ever witnessed his ministry, it is clear that he HAS to do just what he does. It is apparent that it's more than a job or an adventure it is his calling. Thankfully for the countless Kee and New Life fans, he once again yields to the call and presents Not Guilty, a near overabundance of word in song. At two discs and 139 minutes of new music, it's truly an overwhelming offering. But on behalf of advocates and true worshippers everywhere, might I offer the most appropriate response? So!?! Nobody ever asked Donnie Hathaway to rough up his flows a bit, nor Kim Burrell or Karen Clark-Sheard to stop riffing. Few have requested that Love Fellowship stop modulating and nobody ever asked Michael Jackson to stop saying "tee-hee!" And let's face it, Parliament wouldn't be Parliament without the bounce basslines. I guess what I'm trying to say is, if it ain't broke don't fix it, Boo. And it is in this spirit Kee does what he does best and brings the noise both the fresh AND the familiar (see Kee discography). Probably the best example of both is the revisited "I Do Worship". First recorded on New Life's last project, Strength, one would think it too soon to redo, but Kee brings it back in grand reprise-style. With saxophone interjections by Donald Hayes and new vamp, the song comes with new power to get you through the NEXT thing. Tim Mole renders nice acoustic and electric guitar riffs to this praise and worship new standard that is sure to continue ringing during services everywhere. Similarly given a facelift is "Rain on Us" revitalized with a new drum track and vamp. (The original version of the song was titled "God of Mercy", and first appeared on the Heaven album from Kee's Inner City Mass Choir.) Calvin Rodgers steps in to kick the drum solos and Donald Hayes enhances with the sax solo. It's the same loved song with new millennium flava. Old school R&B flava is evident in Kee's music, in some cases more directly than others. "You Blessed Me", offered in the tradition of past Kee jams, comes at you concert version, hitting the vamp over and over again. The band has a virtual carnival as it lethally delivers the licks at the end. This is among the tightest tracks on the project if I had to pick one. "Right Here" a little faster in tempo, is similar in structure. The synth bassline and talkbox by Rufus Troutman, nephew of the late R&B star Roger Troutman who made the sound an R&B mainstay. The words are a reminder that the seeming inactivity of waiting requires focus. Standing still doesn't mean not doing anything; it requires that we be fortified through prayer and praise. Musically, blaring horns that echo any of the bands from the late 70's and 80's switch it up a bit and serve up another ridiculously hot track. "I'll Bless Your Name" puts LaDonna Mole front and center on one of her many turns at the mike on this project. She fights a no-lose battle with a funky track and thick background harmonies. The nostalgic pleasure of the horn line and a hot turn or two from Matt Kelly on organ will make this one sure to creep into rotation on your disc player. Kee touches on some music styles that are a departure from his ace in the hole funk laden hits. "Changed Me" gives a nod to Chi-town with a little house flava, and "Dance" is done with a Latin/Caribbean track that will make you want to do just that. The song showcases a nice piano duel between Kevin Randolph (first key solo) and Kee himself (the second key solo) and features the New Life Fellowship Youth Choir. "Greater" exemplifies Kee's ability to write what he refers to as 'a simple song'. You know, the song that anyone can pick up, sing, and be encouraged by. The simplicity in word, arrangement and message does not negate the power of what is to be conveyed. Biblical verses in Romans 8 (verses 38 and 39) are arguably the more well known verses of that particular chapter. But it is verse 37 that the chorus of this song focuses on; echoing "Nay, In all the things that you go through." reminds us that we WILL go through but we have already won. Kee and New Life go on to explain that the victory comes because, as the redeemed we have the gift of the Great One living inside. 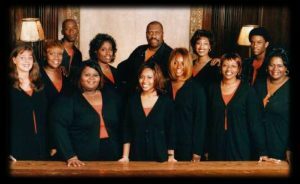 Some other slow gems are the title cut, "Not Guilty" that features Kee and New Life longtimer Shelia Lakin on vocal lead. This track provides sustenance in the reminder that He already paid the cost for whatever your sin. Lakin's fans will be happy to find she also shares a heartfelt duet with guest Deitrick Haddon on the choral ballad "Peace", and is likewise featured on "Jesus", a Baptisty stride piano song. "The Wedding Song", an ode dedicated to Kee's wife, Felice, directed by Kee himself includes another pretty acoustic guitar showing by Tim Mole. "Rhema Word" and "Thou Art Worthy" are notable tunes with the tempo turned down a notch. "Thou Art Worthy" also features signature intro by Miche Waller and LaDonna Mole flexes her upper register on this worship song. Kee gives industry encouragement to a few on "Simple Song" as he honors the beauty of the type of song he has mastered. That song that is uncomplicated and transparent in nature. "I Believe" will take you straight to the backwoods well at least that's where my grandmother's church was. Straight to the pine floorboard chuch and that's not a misprint. C-H-U-C-H. I can see my granddaddy stomping on this one. In the tradition of "Lily in the Valley", nostalgia is king. Instrumentation is stripped to hand claps, foot stomps and tambourine. Kee even remarks, "My grandmother would take the chorus and write a verse." Mine too! Take a listen. You'll either get it or you won't. This release, complete with interludes featuring comedian Ricky Smiley and his various voices, is sure to bring a smile, a tear, and a dance. It is as unpredictable as it is predictable, and Kee fans will be full at the feast of twenty-five substantial tracks. Through and through Kee delivers God's message of forgiveness and promise of victory regardless of the trial or the fall. 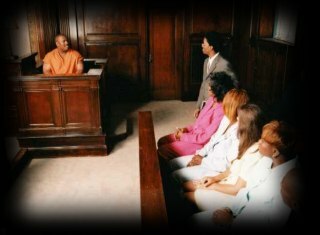 With John P. Kee's 2000 release of Not Guilty you are sure to get your groove on but in the midst you will learn that you are exonerated through Christ. Freed by His grace. Absolved by His blood. Any way you slice it Not Guilty. All content in GospelFlava � copyright 2000. No information to be reprinted or re-broadcast from this site without the expressed written consent of GospelFlava.com. All rights reserved.